Do I need TPMS sensors? Tire pressure monitoring systems (TPMS) are standard equipment on almost all vehicles as of around 2006. For vehicles that were not equipped with TPMS, no sensors are required. Why replace sensors when installing new wheels? Sensor Age - TPMS sensors use non-serviceable batteries that typically last about 5-7 years. While they can often last upwards of 10 years, any sensor this old is on borrowed time and we recommend replacement. Labor Costs - Because of the time and cost associated with removing the tires to replace these sensors, we recommend installing new sensors at the same time as a new set of wheels since the tires will already be removed. The cost to dismount and re-mount 4 tires can often exceed that of simply replacing the sensors proactively. Convenience - If you’re buying a second set of wheels dedicated to either track or winter/snow use, you’ll save time and money by installing new sensors, rather than having to swap sensors between wheels. 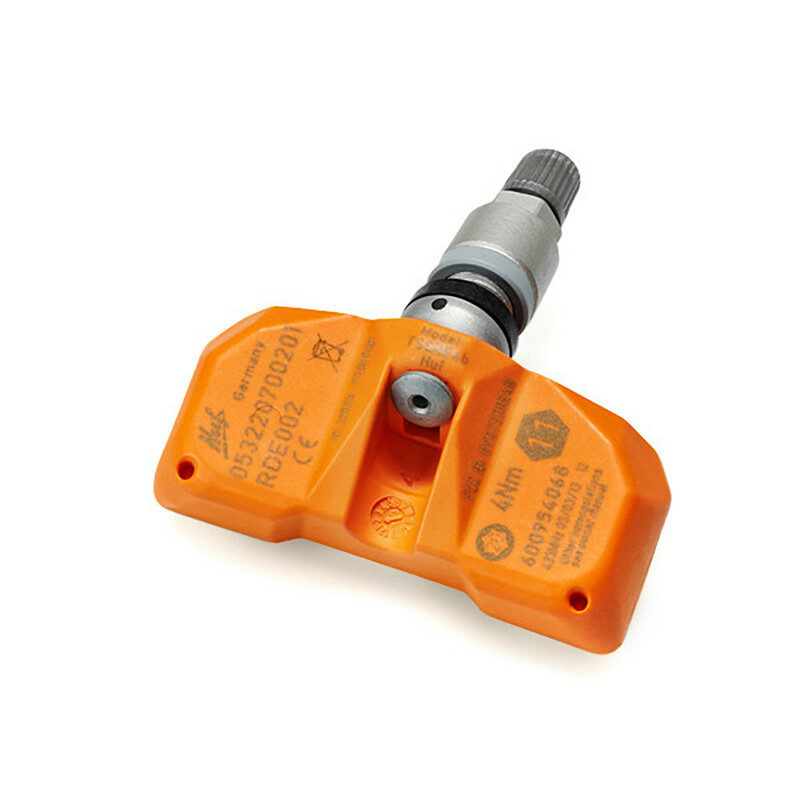 Are TPMS sensors required for track/race use? Track enthusiasts and racers alike are notoriously hands-on, measuring tire temperatures and pressures consistently throughout an event to ensure they are getting the most performance and longevity out of their tires. For this reason, many choose not to install TPMS sensors on a dedicated set of track/race wheels and tires. By doing so, a warning light will be triggered on vehicles equipped with TPMS sensors from the factory and driving modes may be limited on newer vehicle models produced after 2013. To avoid these limitations, many drivers turn to aftermarket programming/coding options to disable the TPMS entirely, which can be done at their own risk. Huf is the OE supplier of direct measuring tire pressure monitoring systems (TPMS) to car manufacturers across Europe, USA, and Asia. Huf has also developed the universal sensor "IntelliSens" for the independent aftermarket which carries the same OE quality. 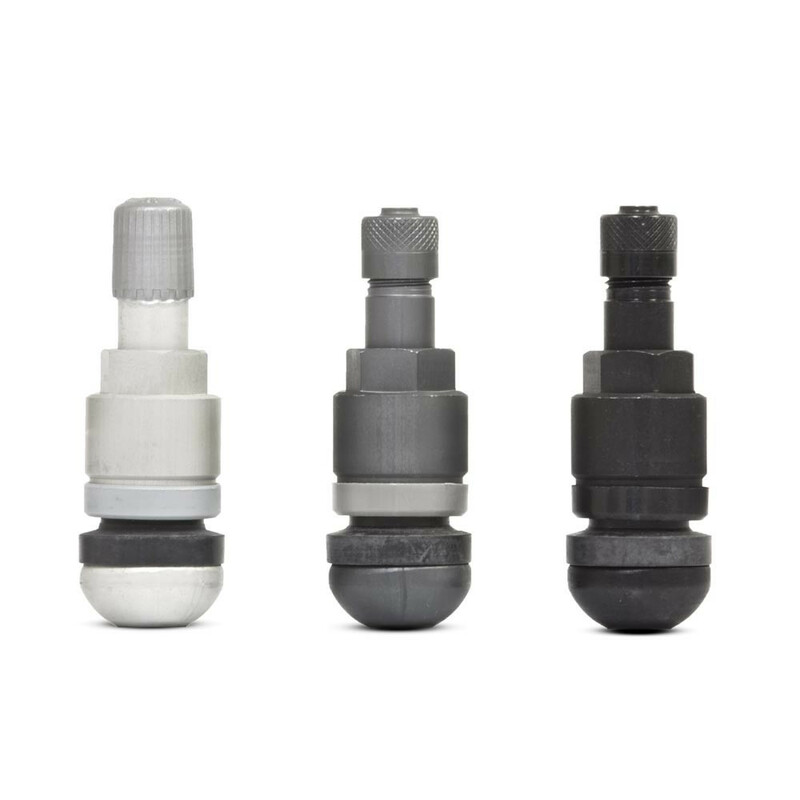 IntelliSens is fitted directly to the valve and measures the tire pressure and temperature from the inside of every tire. This data is then displayed on the dashboard by a control unit. This method of measurement is not only faster, but also more accurate than indirect methods that use ABS/ESP sensors. Whether you are purchasing a new set of wheels and tires, or simply replacing old faulty sensors, APEX has you covered. A study by the National Highway Traffic Safety Association (NHTSA, USA) showed that vehicles with a tire pressure at the recommended level are much more likely to be involved in an accident due to tire damage. Detecting and eliminating tire pressure problems early on improves drivability and prevents accidents caused by tire damage or failure. As driving enthusiasts, we all want to extract the most performance out of our vehicles. By running optimum tire pressures, tire performance and longevity will be maximized. Properly working TPMS sensors ensure drivers are informed with accurate readings so adjustments can be made if necessary. The TPMS helps to extend the lifespan of a tire. A tire with 20% less pressure than the recommended level shortens the lifetime of the tire tread by up to 25%. Switching to a direct measurement TPMS offers financial benefits through the extended service life. Driving with the correct air pressure can lower fuel costs by 1-3%. By reducing the fuel consumption and extending the lifetime of the tires, IntelliSens contributes to the reduction of CO2 emissions. If you have any questions or would like to confirm your selection prior to ordering, please feel free to contact our Product Specialists by using our contact form or by calling (888) 499-9135. APEX is not responsible for any associated costs with tire mounting, balancing or dismounting. Note: Sensors are preprogrammed to work with your vehicle, however, you will need to initialize (synchronize) them to your vehicle per the process outlined in your owner's manual.